Some defend Smith by downplaying his education, his access to the works here discussed, and his ability to create complex narratives. For others, these cultural influences contemporary to Smith that are present in the Book of Mormon challenge the claim of a translated ancient text. Regardless of one’s position, the numerous works which precede and parallel the Book of Mormon in style and content warrant inspection. “Pseudo-Biblicism” describes a genre of literature popular in the eighteenth and nineteenth century that mimics Biblical language. This style of writing is found in both religious and secular newspapers, pamphlets and novels. Dozens of popular books published between 1740 and 1850 contain distinct phrases such as “and it came to pass,” “thus it was,” and verbs modified with “-eth.” Historian Eran Shalev observes: “generations of Americans reverted to that [archaic] language and its accompanying structures and forms to discuss their difficulties and represent their achievements” and “as a means to establish their claims for truth, as well as their authority and legitimacy in public discourse” (Eran Shalev, American Zion: The Old Testament as a Political Text from the Revolution to the Civil War. Yale University Press, 2013). Scholars consider the following examples of books as pseudo-biblical in style. This essay will discuss in greater detail three of these books—The Pilgrim’s Progress, The First Book of Napoleon, and The Late Great War,” the last two of which the New York school district where the Smith family lived used as standard texts. John Bunyan published his religious allegory, The Pilgrim’s Progress, in England in 1678. Although obscure now, The Pilgrim’s Progress was reprinted in colonial America in 1681 and was widely read within Puritan colonies, becoming a cultural phenomenon for generations. As early as 1831, critics noted similarities between the Book of Mormon and The Pilgrim’s Progress. Those who defend the Book of Mormon’s ancient authenticity tend to brush aside any parallels with The Pilgrim’s Progress, labeling them as common thematic elements found in nearly any retelling of a journey. However, similarities between the two books go beyond common literary tropes. One such example in The Pilgrim’s Progress is the story of a martyr named Faithful, which bears a striking resemblance to the story of Abinadi in the Book of Mormon. The story of Faithful combines elements from the New Testament story of Stephen the martyr and John Foxe’s Book of Martyrs (1563). Readers familiar with the Book of Mormon’s account of Abinadi will quickly recognize these elements in The Pilgrim’s Progress story of Faithful (phrases in quotes are found in both the story of Faithful and Abinadi): Faithful and the book’s protagonist, Christian, travel to a wicked city and, upon arrival, are bound and thrown into prison. A town leader assembles a group to examine the prisoners, and the prisoners are “brought before” their leaders to stand trial. The leaders accuse Faithful of being a “madman,” and of stirring contentions among the people and slandering the leaders. Faithful speaks “boldly” in his defense but is nonetheless condemned to be “slain” and “put to . . . death.” Faithful is “scourged,” and “seals” his “testimony” with his “blood.” Faithful’s martyrdom converts a witness named Hopeful who then becomes a major character in Pilgrim’s Progress. Other converts follow and depart from the city, “entering into” a “covenant” to follow Christ. There are other significant parallels between The Pilgrim’s Progress and the Book of Mormon, particularly between its main protagonist, Christian, and Lehi from the Book of Mormon. Pilgrim’s Progress opens with the tale of Christian, who becomes frightened after learning in a dream vision that the city where he lives will be destroyed. He is mocked and threatened by his neighbors and attempts to persuade his family to join him in fleeing the city in search of the Celestial Kingdom. While Christian’s family initially hardens their hearts and rejects their father’s pleas (though they do join later), Lehi’s children reluctantly accept their father’s visions and follow him into the wilderness in search of the Promised Land. And behold it came to pass, in these latter days, that an evil spirit arose on the face of the earth, and greatly troubled the sons of men. And this spirit seized upon, and spread amongst the people who dwell in the land of Gaul. Now, in this people the fear of the Lord had not been for many generations, and they had become a corrupt and perverse people; and their chief priests, and the nobles of the land, and the learned men thereof, had become wicked in the imaginations of their hearts, and in the practices of their lives. The Late War, a narrative of the War of 1812 written in pseudo-biblical style, contains a remarkably high number of direct parallels in language, phrasing, and ideas with the Book of Mormon. Beyond language use of biblical phrases such as “and it came to pass,” parallels also include the 2,000 stripling soldiers, the unique term “curious workmanship,” and hundreds of verses and phrases that the Book of Mormon mirrors. Further, The Late War mentions a “rod of iron,” elephants in America, and a cataclysmic earthquake followed by great darkness, and further asserts that God will favor and protect America if its inhabitants remain faithful. While the sharing of a biblical writing style is expected, the numerous parallel passages suggest more than an influence on tone. Ethan Smith, the author of View of the Hebrews, was a Minister in Poultney, Vermont. His book expounds upon the commonly held nineteenth-century view of American Indian tribes as Hebrew descendants; and that it is God’s desire to gather these descendants unto Christ. Smith’s book enjoyed wide circulation in New England and New York, selling through two printings in 1823 and 1825. Although not written in pseudo-biblical prose, View of the Hebrews and the Book of Mormon share numerous important parallels. For example, View of the Hebrews begins with the destruction of Jerusalem and proposes that remnants of the Ten Tribes came to America and divided into two disparate groups—one barbarous, the other civilized. Ethan’s tale is filled with military fortifications, forms of government, prophets among ancient Americans, ancient Indians as highly civilized people, quotes from King James version of Isaiah, and even a hidden book that was later revealed from the earth. Ethan Smith describes copper breastplates, taken from an ancient mound, with two white buckhorn buttons fastened to the outside of each plate in resemblance to an Urim & Thummim. Further, his book describes a prophet exhorting from atop a wall in Jerusalem while the wicked below unsuccessfully assail him with arrows. Oliver Cowdery, Joseph Smith’s third cousin and scribe, lived in Poultney for twenty-six years and was likely aware of View of the Hebrews, as his family attended Ethan’s congregation. After they settled in America, they became wholly separated from the hunting and savage tribes of their brethren…lost the knowledge of their having descended from the same family. Found themselves involved in darkness…that they would take the book which the white people call the word of God, to throw light on their path. Mormon Origins provides a thorough illustration of sources. 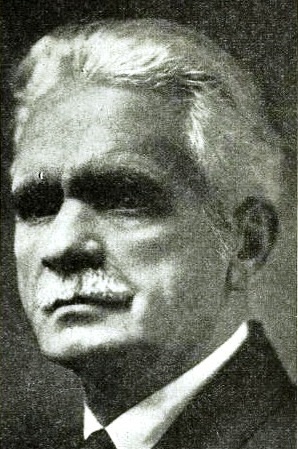 Brigham H. Roberts (B. H.) was president of the seventy in the 1920s. At the request of Apostle James Talmage, B. H. conducted a thorough review of various difficulties and anachronisms within the Book of Mormon narrative. As a result, B. H. spent a great deal of time with Ethan Smith’s View of the Hebrews. Roberts wrote of View of the Hebrews and the Book of Mormon: “It has been pointed out in these pages that there are many things in the former book that might well have suggested many major things in the other. Not a few things merely, one or two, or half dozen, but many; and it is this fact of many things of similarity and the cumulative force of them that makes them so serious a menace to Joseph Smith’s story of the Book of Mormon’s origin” (B.H. Roberts, Studies of the Book of Mormon, 240). Upon completing his extensive study, Roberts reported to the apostles that there was “a great probability” that Joseph Smith had a close encounter with View of the Hebrews. “In light of this evidence,” Roberts wrote, “there can be no doubt as to the possession of a vividly strong, creative imagination by Joseph Smith . . . supplemented by such a work as Ethan Smith’s View of Hebrews, would make it possible for him to create a book such as the Book of Mormon. . . . The evidence I sorrowfully submit points to Joseph Smith as their creator” (B. H. Roberts, Studies of Book of the Mormon, 243, 271). THE VISIONS OF JOSEPH SMITH, SR. Beyond literary parallels with the Book of Mormon, scholars also find elements of Joseph Smith’s family life and his father’s teachings in his scriptural writings. Smith Sr. was a spiritual man who reported at least seven significant visions throughout his life, five of which his wife Lucy later summarized in her memoirs. Two of his 1811 dreams closely parallel Lehi’s first dream and his vision of the tree of life. Traveling a short distance farther, I came to a narrow path. This path I entered, and, when I had traveled a little way in it, I beheld a beautiful stream of water, which ran from the east to the west. Of this stream I could see neither the source nor yet the termination; but as far as my eyes could extend I could see a rope running along the bank of it, about as high as a man could reach, and beyond me was a low, but very pleasant valley, in which stood a tree such as I had never seen before. It was exceedingly handsome, insomuch that I looked upon it with wonder and admiration. Its beautiful branches spread themselves somewhat like an umbrella, and it bore a kind of fruit, in shape much like a chestnut bur, and as white as snow, or, if possible whiter. I gazed upon the same with considerable interest, and as I was doing so the burs or shells commenced opening and shedding their particles, or the fruit which they contained, which was of dazzling whiteness. I drew near and began to eat of it, and I found it delicious beyond description. As I was eating, I said in my heart, “I can not eat this alone, I must bring my wife and children, that they may partake with me.” Accordingly, I went and brought my family, which consisted of a wife and seven children, and we all commenced eating, and praising God for this blessing. We were exceedingly happy, insomuch that our joy could not easily be expressed. The single greatest influence on the Book of Mormon was the King James Bible, the most common translation of the Bible used in Smith’s day. 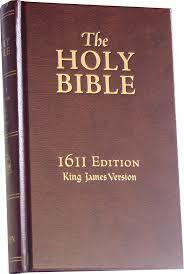 King James I of England sponsored this English translation of the Bible in 1604. Despite claiming to predate the King James Bible by ten centuries, The Book of Mormon contains scribal errors that are unique to the King James Bible. A third example is found in 2 Nephi 21:3, which quotes from Isaiah 11:3. The phrase “And shall make him of quick understanding in the fear of the Lord” should read “and he will delight in the fear of the Lord.” The Hebrew word “rawah” in this context is correctly translated “delight in” as opposed to “quick understanding.” Subsequent Bible translations correct this error. The LDS Church’s Gospel Topic essay, “Book of Mormon Translation,” seems to support Martin Harris’s later statement that Joseph “read aloud the English words that appeared on the instrument [seer stones].” If so, how did Joseph replicate sixteenth-century errors from the King James Version of the Bible? Simply stated, KJV-specific errors in the Book of Mormon challenge Harris’s statement. Early critics of the Book of Mormon took note of its heavy use of the KJV Bible. One contemporary writer opined: “The book [Book of Mormon] is chiefly garbled from the Old and New Testaments, the Apocraphy having contributed its share; names and phrases have been altered” (Letter from Palmyra, N.Y., Mar 12, 1831, in Dale Morgan on the Mormons: Collected Works, Part 2, 1949–1970, 210). “Deutero-Isaiah” is a scholarly term that refers to the widely-held scholarly view that the book of Isiah was written over a period of two centuries by multiple writers and later compiled into a single book. BYU Religious Studies acknowledges that “The majority of biblical scholars divide the book of Isaiah into multiple authorship.” Scholars suggest Isaiah himself likely only authored the first thirty-nine chapters, and that the book of Isaiah did not exist in its current form until 515 BCE. If true, this seriously challenges Nephi’s use of Isaiah in the Book of Mormon, as it depends upon the sole authorship of Isaiah before 600 BCE. The later authors would have written in 550–539 BCE, a half-century after Lehi departed from Jerusalem with his brass plates. Isaiah 54 (3 Nephi 22). Biblical scholars are mostly in agreement that Isaiah chapters 40–46 could not have been written before the Babylonian captivity of the kingdom of Judah (598–538 BCE), as these chapters reflect post-captivity circumstances. For example, Isaiah 44:28 names the Persian King Cyrus who ordered the release of Israel from Babylonian Captivity in 539 BCE. The brass plates that went with Lehi and his family in 600 BCE could not have included these post-exodus chapters. A common argument used support a miraculous translation of the Book of Mormon is that there were no eye witnesses of Joseph having any texts available to him during the translation process. 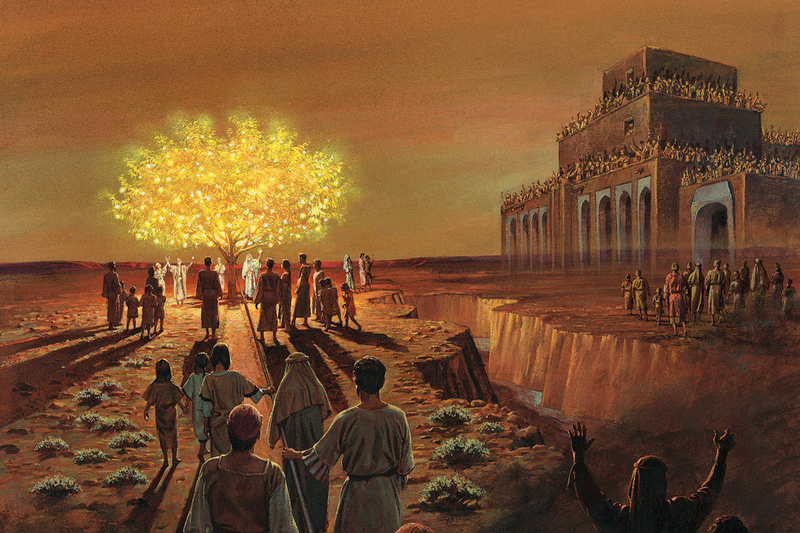 Some who defend the ancient origins of the Book of Mormon suggest that it would have been an impossible task for Joseph Smith to dictate such a complex story orally. However, regarding the use of KJV Isaiah in the Book of Mormon, they concede: “instead of translating Nephi’s quotations of Isaiah, Joseph, deferred to the KJV translation of those chapters. This may have been done to save time and to respect the quality of the KJV Bible. The chapters of Isaiah that we find in the Book of Mormon were taken largely by Joseph Smith from the KJV Bible, instead of being translated from Nephi’s version of that text” (“Question: How do we explain multiple ‘Isaiahs’ and the Book of Mormon?” FairMormon.org). If Joseph Smith used portions of Isaiah from the KJV Bible in the Book of Mormon, which seems evident, is it impossible to suggest that he may have also used other contemporary texts available to him? Nineteenth-century Americans had a unique vernacular. Their peculiar speech and writing owed to the transition from British English into American English, a lack of standardized spelling and grammar, and lower rates of literacy. Although most grammar issues found in the first edition of the Book of Mormon were the result of transcription errors, many passages reflected the “folksy” grammar conventions of unique New England speech. Commenting on the Book of Mormon’s folksy style, B. H. Robert’s wrote: “Sometimes it takes on almost childish expression” (Studies of Book of Mormon, 263). Do such verses read like ancient, literate Native Americans of Hebrew descent? Or do they read like a nineteenth-century orator telling a story? While many scholars today take no issue with Joseph Smith’s speaking and writing style being present in the Book of Mormon, it nonetheless places Joseph Smith into a creative position with its content. To put it plainly: if Joseph Smith’s folksy manner of speech exists in the Book of Mormon, which it does, then it suggests he controlled the diction of the book. A word-for-word English rendition from ancient American writers would not have resulted in passages resembling nineteenth-century New England vernacular. 1 Nephi 1:4. Nephi establishes a timeframe with: “in the commencement of the first year of the reign of Zedekiah, King of Judah . . . and in that same year there came many prophets, prophesying unto the people that they must repent, or the great city Jerusalem must be destroyed.” However, by the time Nebuchadnezzar installed Zedekiah as king, the Babylonian conqueror had already destroyed Jerusalem. 1 Nephi 22:20. “A prophet shall the Lord your God raise up unto you, like unto me; him shall ye hear in all things whatsoever he shall say unto you. And it shall come to pass that all those who will not hear that prophet shall be cut off from among the people.” In this verse, Nephi, writing around 580 BCE, is quoting the words of the apostle Peter around 60 CE who was paraphrasing Deuteronomy (Acts 3:22–23). Alma 5:52. “the ax is laid at the root of the tree; therefore every tree that bringeth not forth good fruit shall be hewn down and cast into the fire.” This verse in Alma, reportedly written around 83 BCE, is quoting John the Baptist from around 30 CE (Matthew 3:10). 2 Nephi 9:39. “to be carnally-minded is death, and to be spiritually-minded is life eternal.” Nephi, around 555 BCE, is quoting the Apostle Paul from approximately 68 CE (Romans 8:6). The use of the word “Christ” in the pre-Christian era of the Book of Mormon is also a textual anachronism. The word Christ never appears in the Hebrew Bible and is, in fact, a Greek word. “Christ” derives from Kristos or, in Latin, Christus, which roughly means Messiah. Christ is a term that Greek and Roman followers of Jesus used, not ancient Hebrews in Israel. It likewise follows that the term “anti-Christ” is Greek. The New Testament was primarily written in Greek, but having fled Jerusalem in 600 BCE, Nephite writers could not possibly have understood, much less used, the Greek language. Eber D. Howe commented: “To give credit to the pretense that Nephi, living 600 years before the Christian era, could, or would, have had the name of Jesus and John revealed . . . is repugnant to common sense” (Mormonism Unvailed, ch 3). Scholars who study intertextuality (a comparative study of religious texts) point out that it was common for Protestants in early America to write Christianity and the New Testament backward into the Hebrew Bible. This anachronistic phenomenon of writing New Testament terminology and ideas into an Old Testament setting is present throughout the Book of Mormon. The Book of Mormon describes America’s first inhabitants as devout Hebrews who observed the Law of Moses (1Nephi 1:2, 4:15, 5:9; Mosiah 1:1-4; Alma 26:15, 3 Nephi 1:24; Ether 1:33). However, the Book of Mormon makes almost no reference to Hebrew customs. The Hebrew families of Lehi and Ishmael scarcely disembarked from their remarkable voyage to the Americas before they began expounding Protestant-style exhortations and nineteenth-century Christian doctrines. E. D. Howe writes: “Our author being ignorant on this subject…offering sacrifices and burnt offerings to the Lord. And to cap the climax of absurdity, after preaching faith and repentance as the only way of salvation, from the very commencement of the campaign, Nephi tells us, ‘Notwithstanding we believe in Christ, we keep the Law of Moses’” (Mormonism Unvailed, 48). 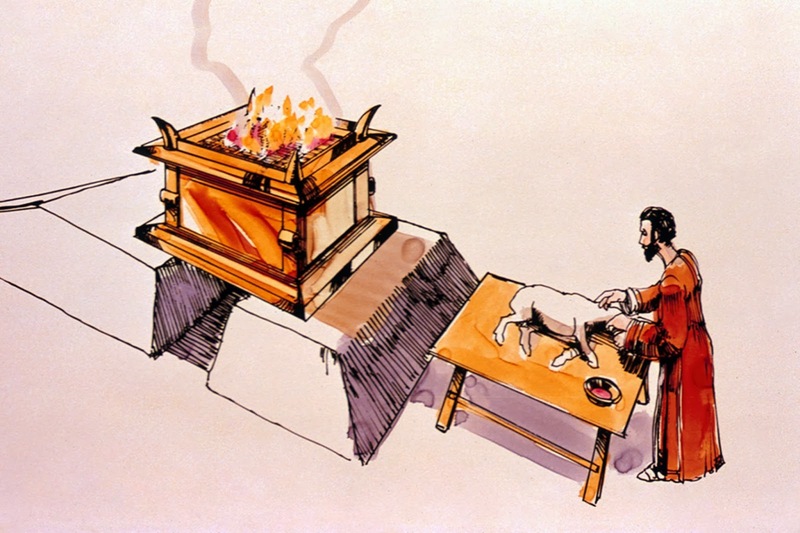 While there is an account of Nephi’s small tribe constructing a temple after the manner of Solomon, there are no subsequent references to the animal sacrifices, ceremonies, and festivals that were central to Hebrew culture. There is no direct mention of the annual Passover celebrations or Yom Kippur that Hebrew descendants have celebrated for millennia. I would dispute the statement that the Book of Mormon reflects Old Testament festivals. Nor is it ‘very clear’ that the Book of Mormon fits comfortably into an ancient Hebrew setting. . . . Why is there no *explicit* mention of any Jewish Festival or Feast in the Book of Mormon? Why is it that these incidents must be inferred? 1, 2 Nephi: Biblical passages dominate the text in these two books. Half of the chapters in 2 Nephi are from the Bible. Jacob, Enos, Mosiah, Alma 1-42: Evangelical Methodist Camp Meeting rhetoric dominates the narrative, which contains terms, practices, patterns, and doctrines familiar to Smith. The eleven Book of Mormon preachers between Jacob and Alma II reflect the Second Great Awakening preachers of Smith’s era. Alma 43-63: These war chapters mirror the strategies of the American Indian Wars and the War of 1812, particularly British/Indian fighting strategies used against the American soldiers in the War of 1812. See Mercy Otis Warren, History of the Rise, Progress, and Termination of the American Revolution, 1805; and David Ramsey, History of the American Revolution, 1789. Helaman; 3 Nephi 1-7: The writing about the Gadianton robbers reveal strong influences of the anti-Masonic rhetoric of Joseph’s day. Free Masonry was a topic of interest during the presidential election of 1828–29, with the rise of the Anti-Masonic Party in New York. Andrew Jackson, a hero of the War of 1812 and front-runner of the election, was a Freemason. Numerous newspaper articles debated whether Freemasonry was anti-democratic and speculated on what Jackson would do to the Executive and Judicial branches of government if elected. See Dan Vogel, “Mormonism’s ‘Anti-Masonick Bible,” JWHA Journal 9 (1989): 17–18. 3 Nephi 11-28: Bible passages again dominate this section of the Book of Mormon, specifically the King James Version, including translation errors. Of the 490 verses in these chapters, 246, or roughly half, contain recognizable KJV quotations or phrases. Ether: This book reads like Joseph Smith’s essay on the central message of the Book of Mormon. The first half of Ether describes what happens to the Jaredites when they follow Christ, while the second half outlines the consequences when they don’t. Ether is a synopsis of the Book of Mormon, including the annihilation of both the Jaredites and Nephites. The phrase “it came to pass,” a favorite expression in pseudo-biblical writing, comprises 2% of the Book of Mormon. 11% of the Book of Mormon was taken directly from the KJV Bible. Nephi’s brothers are named Joseph and Samuel, two brothers in the Smith family. The name Lehi is found in Judges 15:9, 14, 19. The name Nephi is found in the Apocrypha (2 Maccabees 1:36). The name Enos is found in Genesis 4:26. Abinadi, similar to the biblical Daniel, deciphered handwriting on a wall. Alma was converted in the exact fashion of St. Paul. The daughters of Lamanites, like daughters of Shiloh, were abducted. Ammon, similar to the biblical David, slew sheep-rustlers with his sling. King Benjamin’s sermons are strikingly similar to Reverend Benjamin Paddocks’s camp revival sermons. A close analysis of the Book of Mormon reveals explicit use of nineteenth-century language, ideas, and writing style, as well as dependence upon the King James Bible. These facts are not in dispute by most modern scholars of Mormonism, whether they are believers or skeptics of its claim of antiquity. What results is a debate over how much influence Joseph Smith had over the text and narrative of the Book of Mormon. The more creative control we grant Joseph Smith over the creation of the Book of Mormon, the less miraculous its production becomes. That the Book of Mormon contains teachings and principles valued by millions of devotees for nearly two centuries is not taken for granted. Regardless of one’s religious convictions, an honest examination of the Book of Mormon in its nineteenth-century cultural setting demonstrates that secular explanations for its creation are plausible.